how did you choose your furry name - page 29 - furries on furry - Furtopia | Family Friendly Furry Forum and IRC Chat! My favorite animal is the hyena and my favorite cartoon character is Hank Hill, plus the name has a ring to it, it has some sand. I have several names, and I bet everyone can figure out where some of them came from (i.e. greenfox ). Perhaps the most interesting one etymologically is Kahjarin, meaning simply "The Fox One" in my conlang. which derives from the root *KAJ (pronounced a bit like /kai/), which means 'dream'. I put a lot of thought into it. My original 'soma was a rhino... I simply looked for a name that conveyed strength, and I found it in Borderlands... Sledge turned into Thorne, and I became Sledge; constantly changing species, evolving with my mood and environment. Umm, It came from a shortened version of my last name, which is Amaro, then people called me Amari, then they called me Ari. Fuyu is Japanese for "Winter", which is my favorite season. When it comes to "rin", a lot of stories have the suffix of -rin for female Kirin and -ki for males so I went with that. Kah'layna was the name of my first D&D character - I like it, so it's what I'm using, for now. Pumpkins are orange. I'm a bengal tiger. I stepped on a shard of glass and cut my foot bad so I thought hey why not that sounds ok.
Read the name in a book, and decided I liked it. First I thought of the sounds of syllables I liked: "sh," "u," ve," and many others. I ended up coming up with a list of twenty-or-so names, then Google-searched every one to see how original they were. In the end, there were only two left that were completely original--or at the very least composed from miscellaneous word fragments from other languages. The two remaining were Kanschwe and Shaluven, I decided I liked the latter more. Maybe I'll end up using Kanschwe for another 'sona if I decide to make another. Seeing as my Furry Name has changed, allow me to give a bit of backstory about it. I came up with the name MadamGlitch because I love researching and watching videos on glitches found in videogames, specifically glitches found in the first generation Pokemon games. The Madam part comes from the fact that I'm a girl. It's really not that complicated, and at first, I wasn't too fond of it. But it's grown on me. mine is not very interesting. i have had quite a few names because as i have changed, i have changed my fursona, including her name. at first it was Night Stalker because that was the name i use when i role played as a wolf on a different before i even knew about furries. then was Night Berry-Moon. i changed it cause night stalker sounded scary. Finally i now have Night Claw. This is also the name of my warrior cats OC's name. i just really like the name. Not very intersting but, hopefully i wont change it again! I'm kind of an electronic pet geek. I've collected them since the late 90s. Furby was the one that got me hooked and will always be my favorite electronic pet. I like the sound of Furb as a name plus it has fur in it which makes it a pretty good Furry name. Naturally, My fursona is an animatronic critter and I'm in the process of deciding if it'll be an anthro Furby or some kind of general robotic Beastie. No matter what I go with Furb will always be my Furry name. It's perfect for me. Collecting Furbys helped me survive two of the worst times of my life. Taking Furb as a name is my way of honoring that. Well, my user name is actually a meme and inside joke. I was looking up some different kinds of deep sea fish to reference for a Deep One costume sketch, and I found a picture of the black scaleless dragonfish among the many anglers. I looked it up, saw that it had a meme made about it (NOTICE ME SENPAI!) and a friend and I on a different site began using it as my nickname since I used it for my avatar. It just kinda stuck, and I thought it was hilarious despite the fact that I rarely watch anime anymore. My fursona, of course, is an anthro black scaleless dragonfish named Glowstick. I picked the name because of the dragonfish's chin lure, which kinda reminds me of a glowstick on a lanyard. Glowstick is basically me, of course, with the addition of being a lot less shy. And I chose a fish because I think they are quite fascinating, and in many cases adorable (puffer fish and koi especially). Plus I'm a bit of a Halloween nut, so having a 'sona that was both cute and creepy depending on the light was perfect. artist on Yerf.. I needed a username. older than most artists. So I chose Oldrabbit. One other name I had was Roger Raccoon. It was after a story character. Forgot to update this after my name change from Shard to Amducious. Well I was looking up Hebrew names and their meanings. Well Amducious seemed suiting for a Northern Sergal, it translates into(Hebrew), the destroyer. youtube video saw the name Zef liked the name but i liked it more as Zeff so thats what i named my fursona. if i ever were to become a furry in really life ild most likely change my name to Zeff. well i no longer really use the name Zeff for my fursona. iv mostly shifted over to using the name Gray, and it sounds pretty nice to me as a name. tho i'd much rather have people i know offline call me by my legal name. I looked at various city and town names from British Columbia and picked the ones that I liked, then chose the one I liked from that list. Later I found that the Canadian Pacific Railroad used to have a rail line named after the town; a nice bonus, since I'm a model railroader. Needed name for something not-furry related and had recently been watching Wolf's rain. The first thing that popped in my mind was Cheza. It was already taken in that place, so I decided to try adding the two last letters of my irl first name to it, creating the name "Chezana"
It was free, and so I started using that as my online screen name pretty much everywhere, but most still just called me Chez or Cheza, so eventually I too started to try dropping the "Na" from it when registering in places. When I eventually did become a furry it only felt natural to try and use the name for my fursona as well. Because I am the most creative man alive! A raccoon named Tanu is most original! Well, Fern is traditionally a female name. But I always thought it was pretty and so I've decided to steal it and try to force gender-neutrality upon it! It seems to be working so far. Decided to start playing Robocraft, an awesome game that i no longer consider an awesome game. Hazard: I liked the sound of the word. Also, Robocraft reminded me of BattleBots. You do the math. 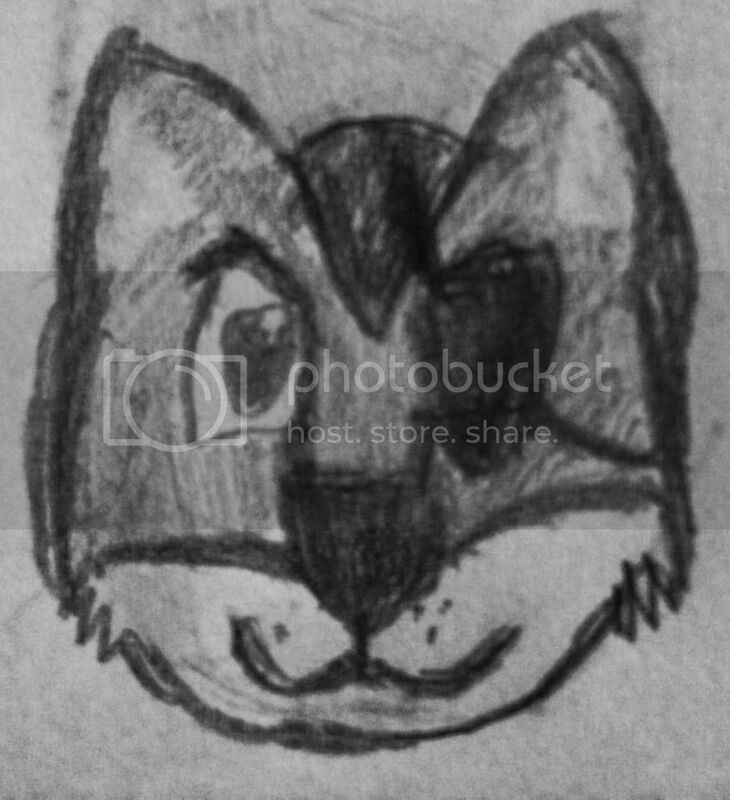 Jackal: I was trying to create a fursona at the time. That kinda didn't work out, but ya know, jackals are rad, am i right? So there ya go, HazardJackal, one of my many internet usernames.